As the designer and art director on this multi-year project, I conceived the brand and the interface. I also produced illustrations and photography, including an interactive virtual tour. 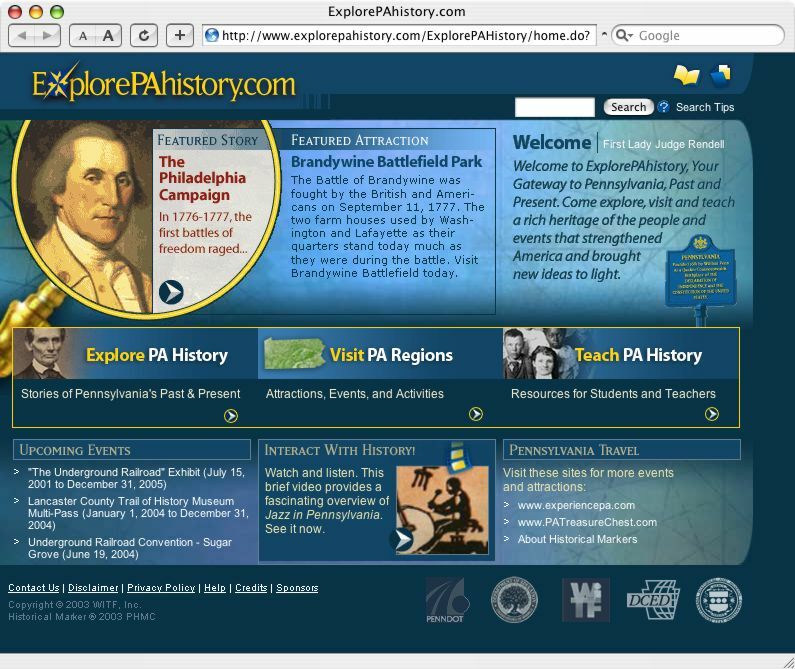 Governor Rendell of Pennsylvania formally announced the site launch at the Capitol in Harrisburg in April 2003. 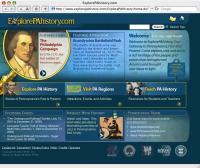 ExplorePAhistory.com is a vast educational tourism site centered around Pennsylvania history and historical attractions. An easy-to-use and visually rich experience awaits the visitor that includes lesson plans for students, articles on various activities, and several interactive features – including a virtual tour. My involvement in this project included planning, concepts, brand development, interface design and development, and production of art and interactive features in Flash and QuickTime.